Many kids with selective eating experience anxiety. For some children, it is more pronounced and can even be at the root of their eating difficulties. In some cases kids use coping strategies, like relying on mealtime distractions like TV or iPads, to help them feel less anxious at mealtimes. It may be too soon to try to determine whether it is anxiety that always causes eating problems or it works the other way around. But it is clear that the more anxious your child is at dinner time, the harder it will be for him to eat. How anxiety affects your child’s eating? Have you tried eating while being chased by a polar bear? It may seem like a wide-fetched comparison but, biochemically, your body’s hormonal response to this life-threatening situation may be very similar to what your anxious toddler is experiencing every day at dinnertime. The thing is, when we are stressed or anxious, our bodies produce hormones that shut down the appetite because we are in the fight or flight response. If stress is experienced regularly, the body shifts into another mode where a different set of hormones is released, triggering overeating in response to stress. But for our kids, the first type of reaction is more typical. They eat less under stress. Here are some signs that your child might experience anxiety at mealtimes. They come from a wonderful book Helping Your Child with Extreme Picky Eating by Katja Rowell and Jenny McGlothlin. Consistently poor behavior at the table. If you feel that your child is consistently anxious, including at mealtimes, it is always a good idea to consult a specialist and get professional help. 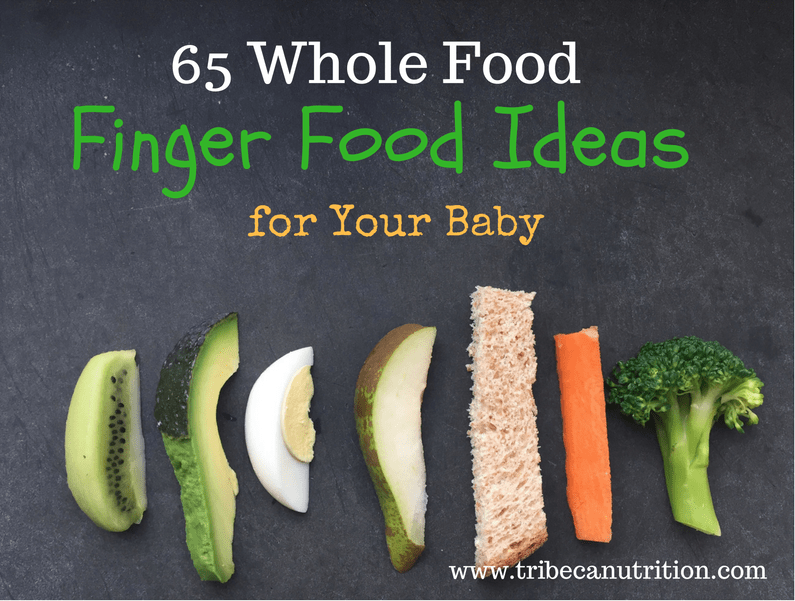 To help him do better at mealtimes, you can start by following my 10-step plan. The overarching goal to keep in mind is creating a calm, stress-free and predictable environment during meals. 1. Make sure YOU are not anxious. You may be very nervous because your child gags at certain foods or you may be worried about the variety, nutrition or growth. But you need to make sure that YOU are emotionally equipped and supported to create this stress-free space for the meals before your child’s eating and anxiety levels can be addressed. 2. Help your child relax before mealtimes. Meditation apps or calming music could be very helpful. Headspace offers some wonderful meditation apps both for kids and adults. Smiling Mind is another great option that is also free. 3. Create a pre-meal routine. It can involve putting away toys, washing hands, a prayer or a song. Transitions may be hard for anxious kids and a routine helps everyone get ready for a meal in a calming and predictable way. 4. Involve your child in setting up meals. It does not have to include a close contact with food if it increases anxiety, but something else that your child will be happy to do to contribute: set the table, invite his sister and dad to the table, pour water for everyone. 5. Get rid of ALL the pressure to try or eat food. The fastest route to pressure free meals is by following the Division of Responsibility in feeding. Always serve 1-2 accepted foods and assure your child (numerous times, if needed), that he does not have to eat anything. 6. Announce the menu in advance. For older kids, write out the menu and put on the fridge, a day or two in advance. 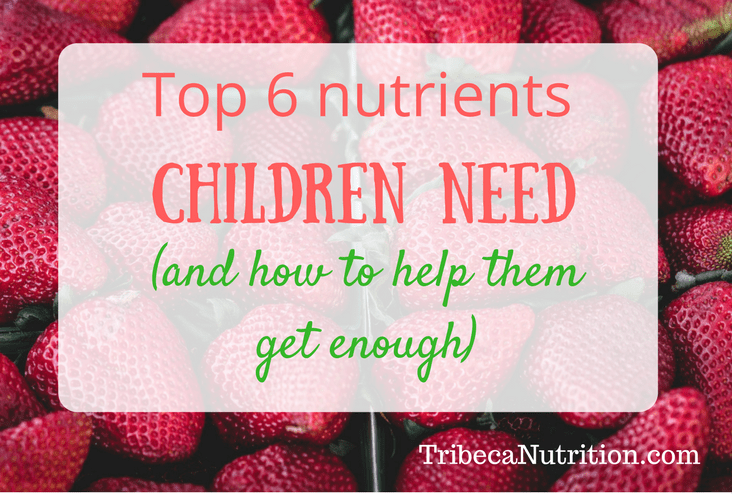 It’s especially helpful if you are just transitioning to family meals and your child needs a little extra reassurance that their accepted foods are included. 7. Avoid comments about food. During the meal, avoid any comments about what the child is eating or about food in general. I know that this strategy may seem counterproductive because sometimes it feels that if we are not saying anything, we are not doing much parenting. But believe me, it’s a real game-chan. Our kids need a safe space to enjoy the meal, without us talking about food all the time. 8. Keep their sensory needs in mind. If your child strongly reacts to the sight or smell of certain foods, make it easy for him and move them further from him to the other side of the table. You can always explore the challenging foods outside of mealtimes, like in these taste test experiments. But at the table, he may find their proximity too threatening. 9. Avoid praising for what the child ate. You may be tempted to say “Oh, good job on trying those carrots” but this phrase may increase anxiety because your child may feel like he needs to try carrots every time he sees them. it is always best to stay away from putting a lot of value on what kids do or do not eat, especially if they are prone to anxiety. 10. Instead, praise your child for mealtime behavior. You can comment on her being a pleasant mealtime companion, and tell her how much you enjoy chatting with her at mealtimes. You can thank her for setting up the table, or staying at the table until her younger brother finished eating, passing the peas around like a big girl. Just stay away from praising her eating. 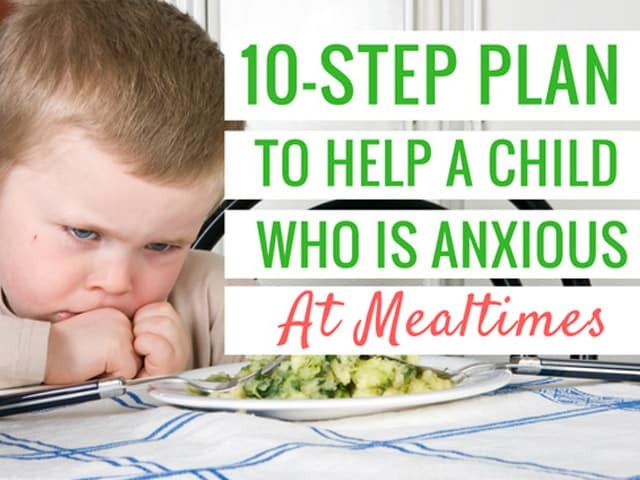 What are you doing to help your anxious child feel relaxed at mealtimes? Is your child a resistant eater? Do you think your child’s anxiety interferes with his eating? You are not alone. 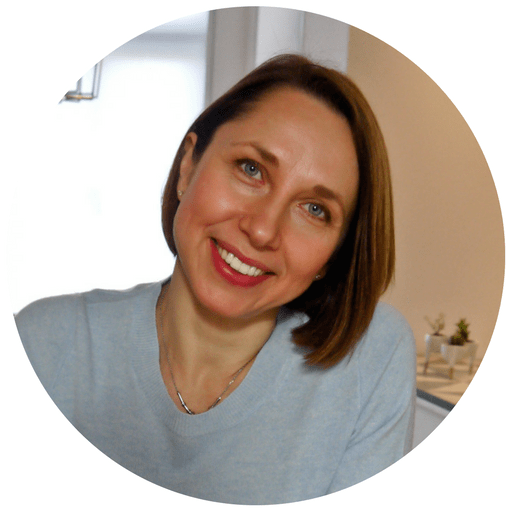 I helped many families who are struggling with anxiety-ridden mealtimes. Check my private packages and schedule a free discovery call to see how I can help yours. Or hop on the waiting list for the online course Turn Picky Eating Around.